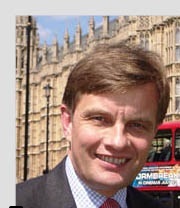 David Ian Jones MP as in publicity blurb and on his Web Site. David Ian Jones MP as he really appears. The Camera cannot lie! So why should he try to deceive us? ← Previous Previous post: Who Is Writing The New Thoughts-Of-Oscar Blog????? Next → Next post: Hello Hello Hello…..